Thank you for contributing to the MPAC Donation Drive! We surpassed our goal and raised almost $7,000. ​These dollars have been set aside for contributions towards our ultimate goals to create Outdoor Learning Spaces & for upgrading our Emergency Preparedness Bin. If you forgot to donate and still want to enhance your child's education and safety, tax deducible donations through school cash online are always open. Interested in knowing the plans for next year or the impacts of smaller class sizes? Please find the agenda and other documents HERE. We now are budgeting for 1 day Hot Lunch because we have not received a Thursday Hot Lunch Prime volunteer. Thank you to Cat Cantas for being our Tuesday Hot Lunch Prime. 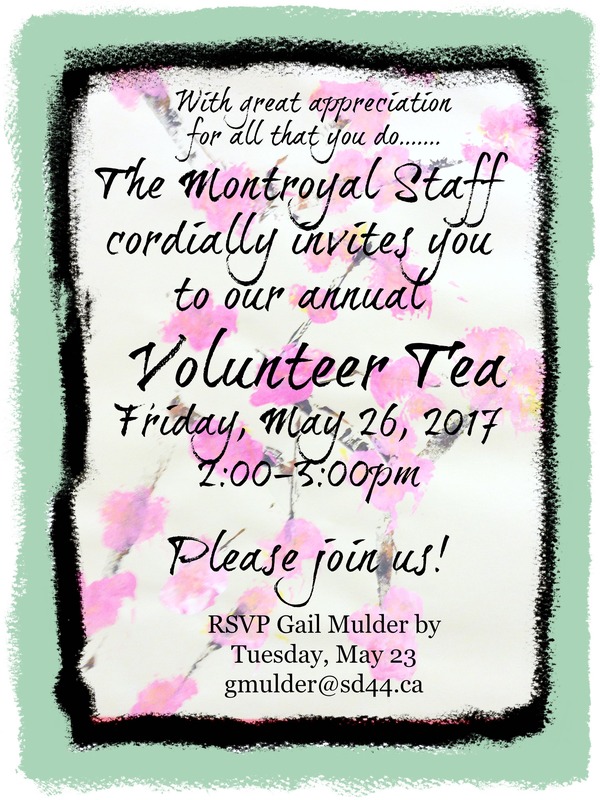 One volunteer can save our 2 day hot lunch program, email info@montroyalpac.com if you are interested. Invitation was sent out by the school, please see HERE for information. ​Student organized event to increase school spirit. Dress in your fancy clothes or wear a fancy costume.